This past weekend we took a skiing road trip to the U.P. of Michigan. 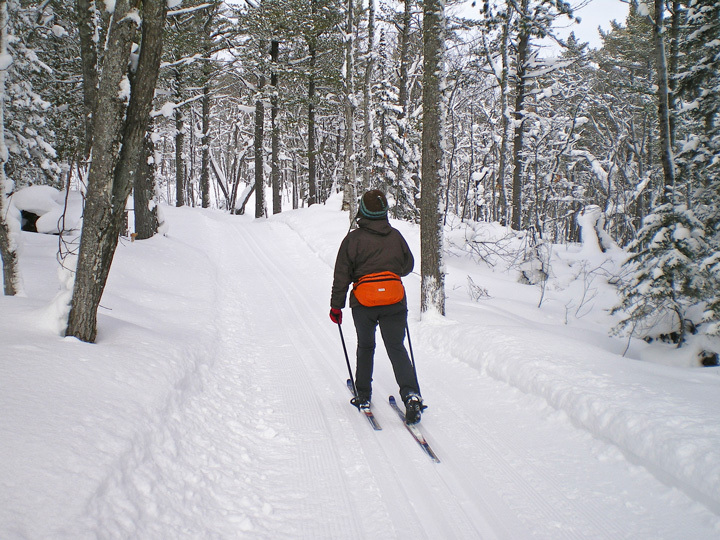 Our goal was to ski Keweenaw Mountain Lodge Ski Trails and if time permitted the Swedetown Ski Trails. 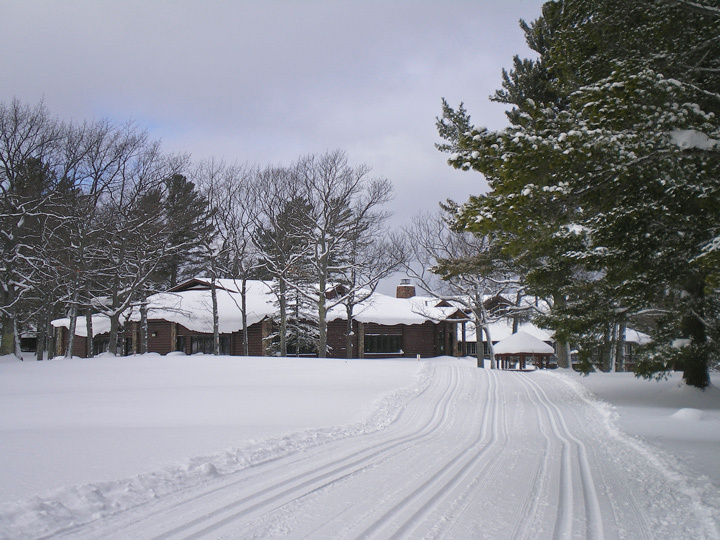 The Keweenaw Mountain Lodge Ski Trails are located on the mountains above Copper Harbor, Michigan. We had skied them several years ago and enjoyed the experience. There are 13km of classic single track only trails that wind through new growth hardwood forest. There is a small charge for using the trails. 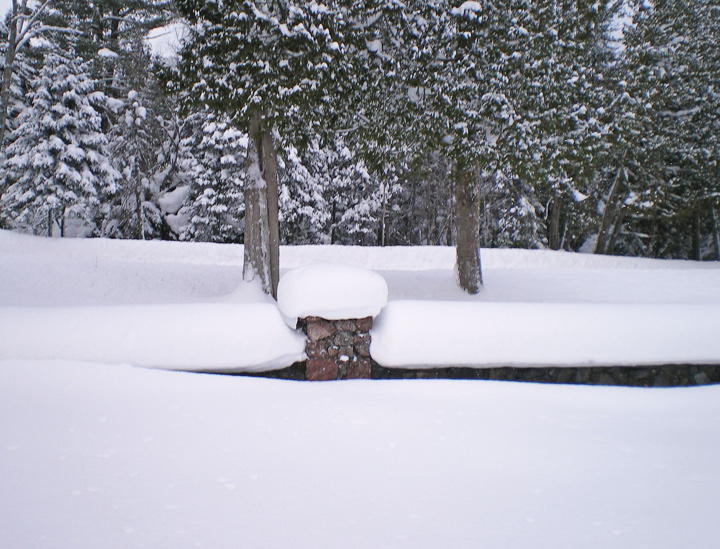 This year the lodge is open and rooms are available during the winter months. Meals are also served in the lodge. There had been about 8″ of new snow overnight and the staff had just finished grooming the trails when we arrived. By the time we were ready to ski they had started laying fresh tracks. We skied for several hours and didn’t see anyone else on the trails. We had the place to ourselves. At noon we stopped for lunch at the lodge. On our previous trips the lodge had not been open so we didn’t know what to expect. The lodge, golf course and cabins were built by the WPA during the depression. It is a lodge in the grand tradition of the national parks. We were the only ones in the bar area and enjoyed a fine lunch in front of a roaring fire. Following lunch we returned to the ski trails and made another complete circuit without seeing another skier. 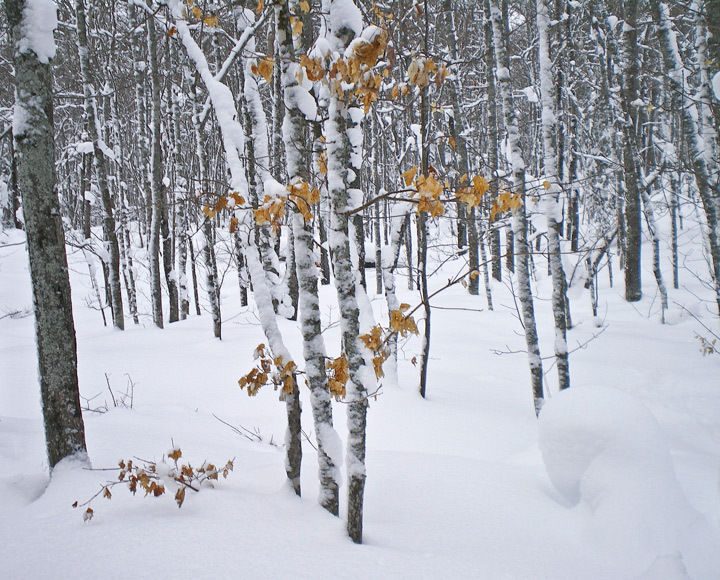 There are also an extensive snowshoe trail system which looked like it would be fun. We like to save something for the next trip. We will be visiting the Mountain Lodge trails again.